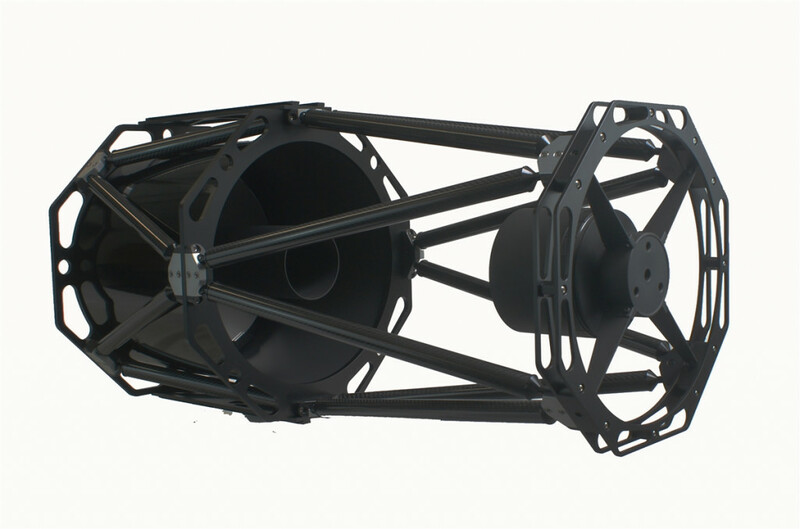 The Photon™ line of Ritchey-Cretien astrograph telescope has been expanded with the addition of four new truss tube models (10,12,14 and 16 inch). Designed for today's astro imager, Photron™ truss tube RC telescopes deliver a sharp clear image from one edge to the other. The truss tube models are designed t carry on our long standing reputation for creating and manufacturing solid, stable, accurate tracking mounts, in a high quality RC astrograph telescope. iOptron® Photron™ truss tube RC telescopes feature low thermal expansion quartz primary and secondary mirrors with highly reflective dietetic coatings maximizing the light getting to your eyepiece or imagine device. The RC optical design delivers coma, spherical and chromatic aberration free results, perfect for color and monochrome imaging. A fixed position primary mirror eliminates image shift that occurs when focusing from other telescope designs. With 1/12th wave or better primary mirror our RC scopes delver images and views that are out of this world. Each Photron truss tube instrument comes equipped with a dual-speed linear bearing Crayford focuser that can facilitate our optional ASCOM compliant electronic focus control. Three focuser extension rings are provided for a “flex-free” solid extension as a means to take up any unneeded back focus. Its backbone, made up of strong, light, carbon fiber truss supports hold the optics firmly in place while keeping weight to a minimum. It's open air design results in rapid cooling, reducing the "wait time" before use. Photron™ by iOptron®, RC truss tube telescopes are sure to meet or exceed even the most discriminating imager or observers expectations.